2Wheel Chick: New in town? Join the cycling club! So I've joined a cycling club. I haven't only just joined, it was actually a few months ago but I'm only just writing about it now. I am a member of Cassini's Cycling Team. There are quite a lot of cycling clubs to choose from in Milan. The reason I chose Cassini's was because the club has a lot of women members - and they are not just WAGS or social members, but women who actually cycle and even compete in cyclosportives. From what I hear they are pretty strong too! Mind you, how fast they are is academic to me as I don't really get on the scale when my plodding is compared to their speed! What I like about the club is that the people are very friendly. Even though I have not been there long, and have not taken part in lots of events, I have still managed to get to know a few people and share a few jokes. Folks have been very welcoming, and sociable too. I have met some of them at dinners, in bars and a number of them at the women's We Own the Night running race a few weeks ago. I am a little embarrassed to say that many members have probably never seen me on a bike yet! I'm sure that will happen sooner or later though! One person who has seen me on a bike is Sarah, an American lady in the club who I rode with a few weeks ago. I rode with her, along with her friend Marco and two other Italians - Franco and Enrico. We met in Monza and I hung onto Sarah's wheel as the guys towed us up to Como. I'd been a little apprehensive about going, for fear of being too slow. But I survived the part of the ride I did with them and it gave me the confidence to try and ride out with others. Having lost my cycling "mojo" earlier this year, it had been a real effort to get myself together and find the motivation to ride with other club riders. But this little ride with Sarah and her companions was just right for me. The guys were due to continue on for around 20km to Aregno and do some climbs near there. However, I was a little pushed for time so stayed nearer to Como and did a climb up to Monte Bisbino. I might have bailed out of the main section of the ride, but the alternative road I took was far from being a soft option! Monte Bisbino is not extremely steep, but it was long enough - 13km of straight climbing! After around 2 hours of riding uphill I turned back on myself and returned to Como. I was pleased with the ride I'd done, and I was glad to have ridden with some clubmates that day. A number of the Cassinis ladies saw me on my bike a few days ago for the summer solstice. 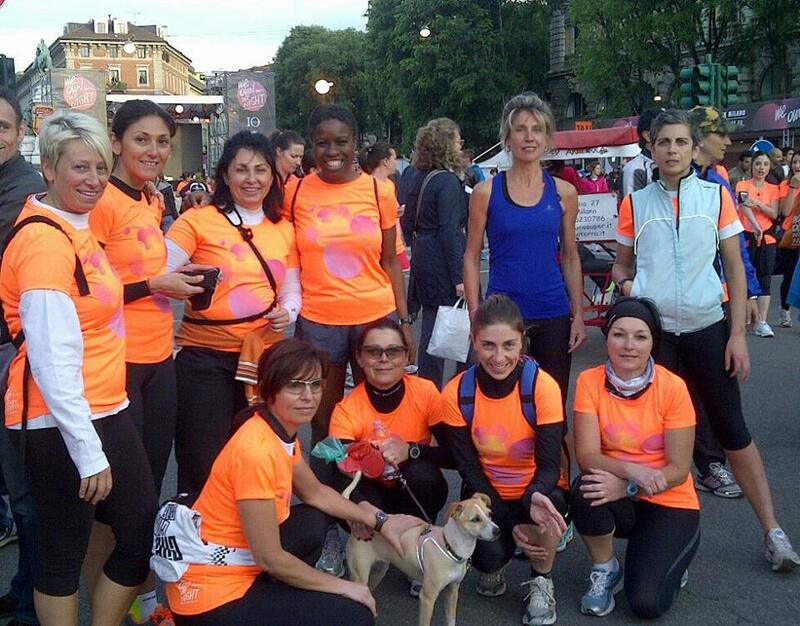 Thanks to captains Barbara and Roberta we took part in a 1500m time-trial around Assago, a suburb of Milan. By some fluke I ended up with the 5th fastest time out of 15 women. That was probably the adrenaline in me after racing to the venue when I was running late! The camaraderie and the trip to the pizzeria afterwards made my evening with my team-mates even more worthwhile. In short, being in the cycling club has improved my social experience in Milan, and it has even helped me to regain my taste for club cycling.